NASCAR 101: Who Didn't Return to NASCAR in 2017? Home / Cup Series / NASCAR 101: Who Didn’t Return to NASCAR in 2017? Time for another game of sifting through the long list of NASCAR national series drivers who didn’t make an appearance in 2017! After beginning this series in 2015 and continuing in 2016, this space will again chronicle the list of competitors who ran in one of the three NASCAR national series (Monster Energy NASCAR Cup, XFINITY and/or Camping World Truck) last year but didn’t do so in 2017 — or, rather, haven’t done so yet, since there could be late additions to the Phoenix International Speedway entry list this weekend and it’s unclear who’ll be driving next weekend in the season finale at Homestead-Miami Speedway. In 2016, the list was made up of a trio of Wallaces, future Hall of Famer Ron Hornaday Jr., the retiring Brad Teague and many more, but the genetic makeup of this year’s roster is strikingly more… what’s the word, grandiose, maybe? We’re talking a bevy of past champions and winners, some of whom were already known as future retirees at this time last year while others were still on the fence. Conversely, interestingly enough, a few from the 2016 list (as in, raced in 2015 but not in 2016) actually returned to the national series in 2017, including Kyle Weatherman, who started his Cup debut with Rick Ware Racing, and Dalton Sargeant, who returns to the Truck Series this weekend with MDM Motorsports, among others. As before, here are a few callouts from this year’s list, with the full rundown following alphabetically. Greg Biffle: It would have been inconceivable to imagine a Cup Series without Biffle in 2017 in some capacity, but that’s what ended up happening this year, the 19-time winner sitting out completely after well over a decade competing for Roush Fenway Racing. That said, the word retirement hasn’t exactly been tendered just yet, and Biffle remained close to the sport, acting as an analyst for NASCAR America this year. Jeff Gordon, Bobby Labonte & Tony Stewart: Said they were going to retire. Did so. Not much else to say except that no one pulled a Gordon from 2016 and re-emerged on a part-time basis. Nonetheless, their absences were felt, even though Gordon remained in the broadcast booth and Stewart’s four-car Cup team continued to win races. Natalie Decker: The 20-year-old Wisconsin native didn’t return to NASCAR competition after failing to qualify for a Truck race at Martinsville Speedway last year, but she remained active in stock car racing, driving seven races for Venturini Motorsports in the ARCA Racing Series, scoring two top 10s. She’ll run full-time for the team in 2018. Carl Edwards: Probably the most mysterious of the bunch. In January, Edwards surprised the NASCAR world when he announced he would not run in 2017, Daniel Suarez moving up to replace him in Joe Gibbs Racing’s No. 19. No doubt have we heard from him since, usually in a will-he-return-to-NASCAR capacity, but we’re no closer to the answer to that question than we were in January. David Gilliland: After a part-time effort with Front Row Motorsports in 2016 at the superspeedways, Gilliland finally hung up the helmet this year, opting to focus on his K&N Pro Series East team and son Todd’s budding NASCAR career; in five Truck starts in 2017 (a sixth to come this weekend), Todd Gilliland has two top fives. Austin Theriault: In 2016, Austin Theriault was a part-time competitor in the XFINITY, Truck and K&N Pro East series, failing to latch on anywhere for a full run. That finally happened this year as part of Ken Schrader’s ARCA team, and he promptly went out and won the 2017 championship, scoring seven wins in 20 starts. 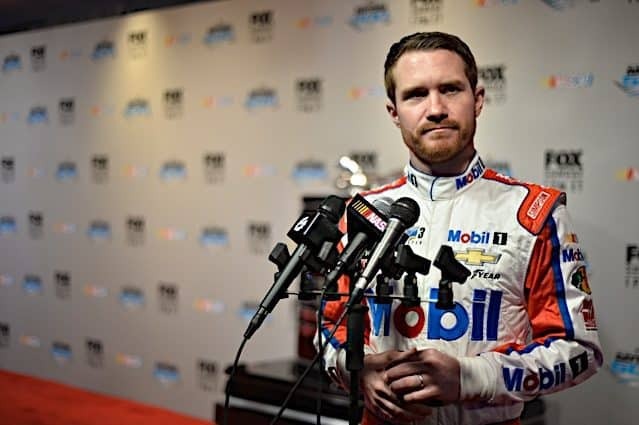 Brian Vickers: Like Biffle, Vickers remained close to NASCAR as part of NBC’s coverage of the sport. Despite his health issues over the last few years, 2017 marks the first time Vickers didn’t compete in at least one national series event since 2000. Next 4 Burning Questions: Will Brad Keselowski Hang On to Championship 4 Spot? I thought the answer to the article title was 10-15% of the fans who watched races in 2016.
Who Shouldn’t Return In 2018? Of course you wouldn’t have enough drivers left to fill the field.